Today is a VERY special day! 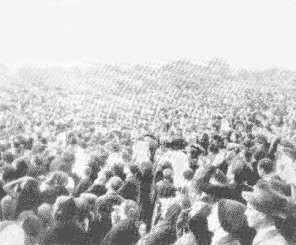 Not because it’s my BIRTHDAY 🙂 But because 94 years ago we had one of the most amazing miracles occur, The Miracle of the SUN in Cova da Iria on October 13th, 1917 to between 30,000-100,000 spectators. This was an amazing gift from the Blessed Mother for all not just for believers but for many because it made them realize how great the power of God was. This has always been a special blessing for me ,celebrating my birthday on this blessed day. I am blessed however, because throughout my life I have been given the gift of faith. I haven’t needed a miracle,the scent of roses or any other attribution to cement my faith in God. I look at the everyday miracles that surround me and realize the power Our Lord has as well as his magnificence. On this day I ask Our Blessed Mother to continue her protection not only on my family,friends and loved ones but on all who have touched my life in someway or the other. As well as I ask her to continue her protection over this great nation. I know she is saddened by our blatant offense against her Immaculate heart and I thank her for still continuing to show us her love even through our trespasses. Wishing you all a blessed day!! where they presented me to Our Blessed Mother and gave her name to me as a middle name a tradition I’ve continued with my two girls. Princess Gigi’s middle name is Mercedes after Our Lady of Mercy and Bummi’s middle name is Victoria after Our Lady of Victory. As you can see my love for the Blessed mother is great! Thank you! 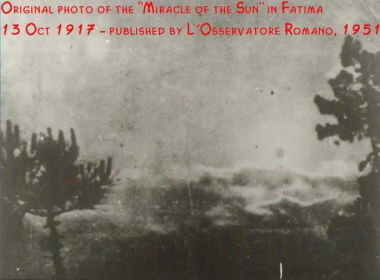 If you get a chance read about Our Lady of Fatima and the Miracle of the Sun. Such an Amazing story!! Oh, happy birthday!!!! What a special day to be born on!!!! My husband wanted Mercedes for this baby if it’s a girl….well, it was one of his many names! Beautiful picture of your special day, your parents are beautiful too! happy birthday on such a wonderful miraculous day!! 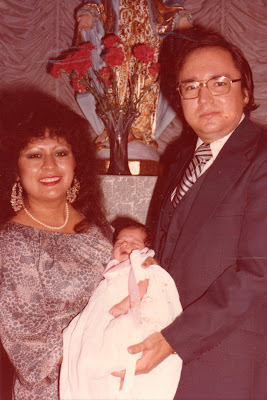 what a tresure that picture must be for you, below the statue of Our Lady and in the arms of your parents on your Baptism day. I lovelove the names you gave your daughters to honor Our Lady! I honored othe blessed mother too with one of the names I gave my daughter.